Kids can be hard to please. If you have them, you know. Traveling with them can be an endless series of complaints of some sort, unless you keep them interested in things and get them involved in the planning. 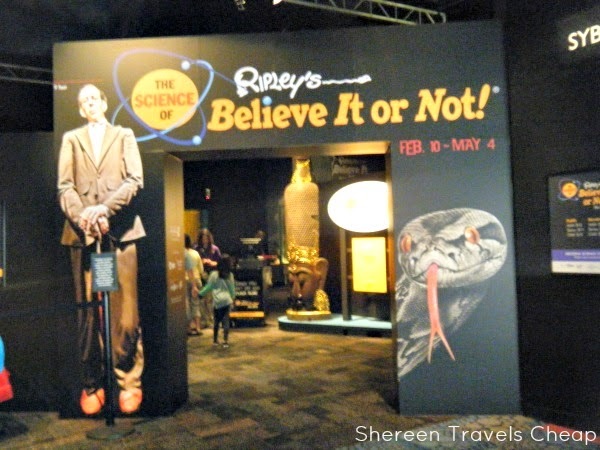 As a child, I was fascinated by the oddities printed in the Ripley's Believe It Or Not! books and have visited several of the museums. When I was in Tempe, I saw the Science Center was hosting a Ripley's exhibit and figured it would be a good way to spend my free time. I wasn't wrong, and there were a lot of kids there who also thought it was pretty cool. What better way to teach kids about science and the world around them than by viewing some of the world's most interesting accomplishments and finds? How did the World's Tallest Man get that tall and what would it feel like to stand next to him? You got that chance at this exhibit. Whoa! Who knew toast was so fun? 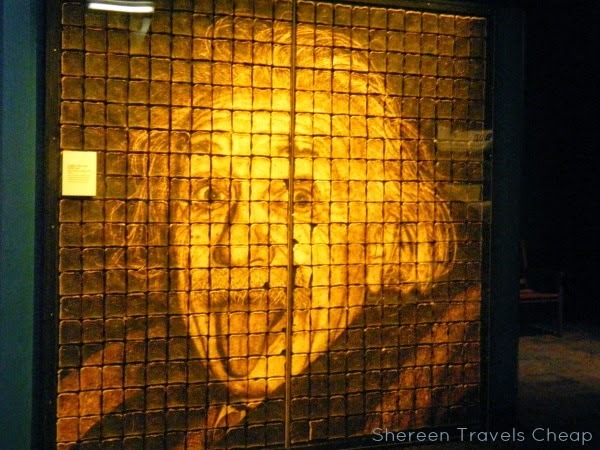 Besides eating it, you can make a very awesome picture of someone famous, like Albert Einstein. 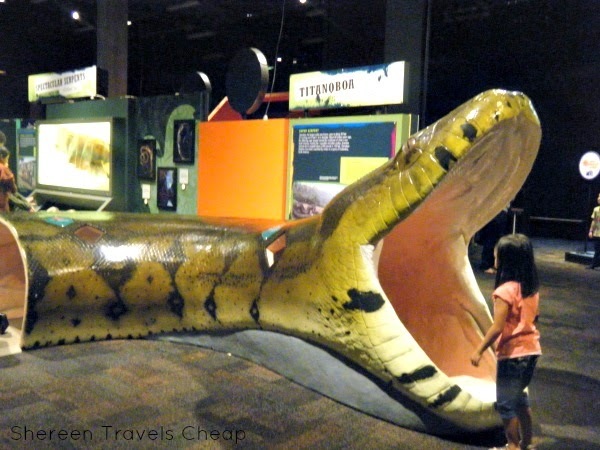 Have you ever heard of the titanoboa? This snake, that was related to the boa constrictor, could swallow a whole car or a cow or this little girl, apparently. Could you imagine walking through the rainforest and coming across this beauty? It's pretty amazing what nature can do. Another crazy freaky animal is the Mega Mouth Shark. The kids all love standing in the jaw, but what do you think it would be like to see this thing in the wild? Exhibits like this are a great way to start conversations with your family. After checking out the Ripley's Believe It Or Not! exhibit, there's still a whole other museum to check out. 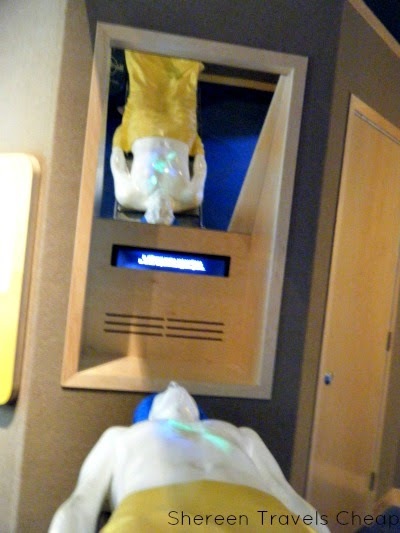 It has so many hands-on displays to help visitors learn about the weather, electricity, medicine and more. I often visit OMSI here in Portland for the special exhibits, and a lot of cities have similar family museums, which kids always have a great time in. One of my favorite parts of the Arizona Science Museum is the medical area. You can view things like how artificial joints work and mimic the body and even see open heart surgery being performed (as shown in the photo below). On the screen, you see the surgery being done, along with doctor commentary, and the surgery is reflected below on the body on the gurney, so you can see exactly where each organ is located. 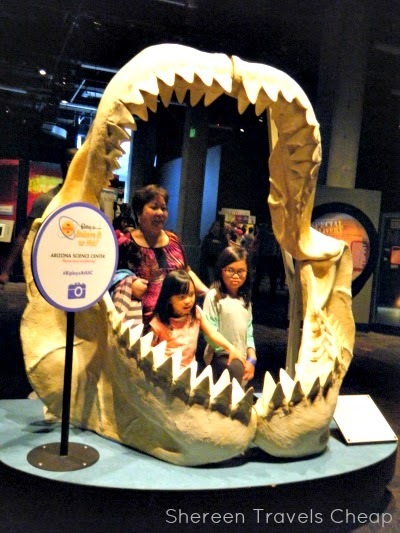 If you are planning a trip with your kids, make sure to set aside some time to hit up the nearest science museum. Not only will they be able to run around and play, but learn interesting stuff in the meantime. 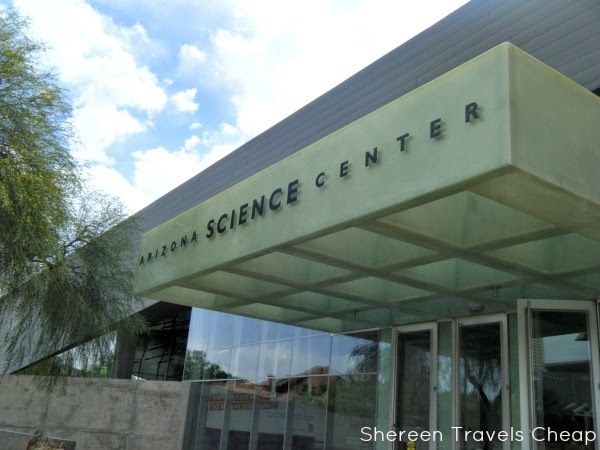 Find affordable hotels and other things to do in Tempe on Hipmunk. What are some of your favorite things to o with your kids when you travel?